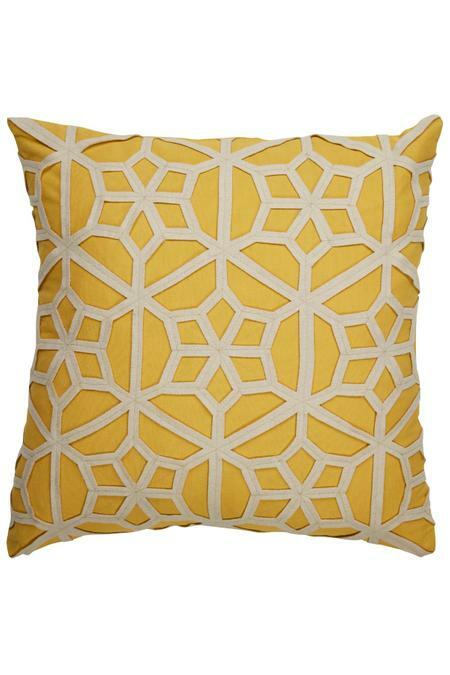 Felt appliqué forms a graphic fretwork against the bright, marigold yellow ground of our cotton pillow. A quick, easy way to add a splash of sunny color and distinctive pattern to the sofa, bed or your favorite reading chair. Lofty poly fill insert included. Embellished with a fretwork of felt appliqe. Lofty poly fill insert included.